Many Americans will celebrate the start of the summer this Memorial Day weekend with backyard cookouts, and two brands hope to solidify their invites to those parties through augmented reality experiences in Snapchat. 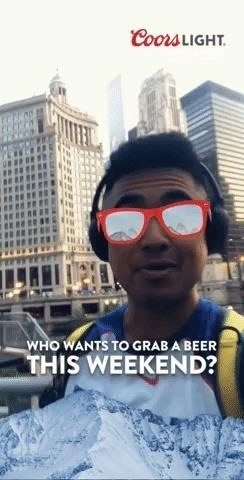 MillerCoors is running a Sponsored Lens that puts virtual sunglasses on users' faces and a cold can of Coors Light in their hands. The Lens sends a virtual can flying into view when users raise their hands into the camera view. 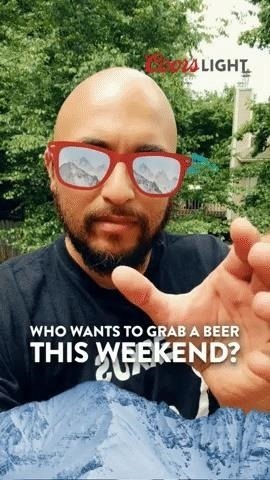 Coors Light is one of the first brands to utilize Snapchat's new hand recognition capabilities, according to a company spokesperson. The brand's use of augmented reality to spur sales is particularly notable considering the stakes at hand for the weekend and the season. According to Nielsen, Memorial Day is the second-biggest holiday for beers sales in the US, trailing only the Fourth of July. Last year, beer sales were up 16% in the two weeks around Memorial Day compared to any other period during the year. Moreover, beer becomes the top grocery category during the summer, with sales topping $4 billion at large grocery retailers, according to Nielsen grocery channel data from 2017. Meanwhile, for those looking for something to pair their beverages with, KFC is planning to urge consumers to pass on hamburgers and hot dogs and pick up a Crispy Colonel chicken sandwich. On Memorial Day, KFC will offer a World Lens that will summon the Colonel in augmented reality. The experience will also enable users to win a KFC Colonel floatie directly through the Lens. "We saw that the over-the-top pool float trend was taking over social media and thought it would fit perfectly with our notorious Extra Crispy lifestyle campaign," said Andrea Zahumensky, chief marketing officer for KFC US, in a statement. "Summer is about making fun memories, and what better way to do that than drifting on the water in the arms of the one and only Colonel Sanders." a purchasing action, or, in this case, to participate in a sweepstakes, adds value to Snapchat's overall offerings. Now, all this talk of virtual food and beverages has me ready for the real thing. Happy Memorial Day!